There are some very interesting tours scheduled for the UK and Ireland in 2015 - some are definitely playing music from the Bluegrass tradition and others might be of interest Bluegrass lovers who are also partial to Americana, roots, traditional & country-swing music. So, in the interest of supporting artists visiting our side of the Atlantic and supporting the European promoters who are bringing bands to our shores, there will be occasional posts here on the EBMA Blog to announce these tours. The first of these concerns Woody Pines from Nashville, Tennessee. 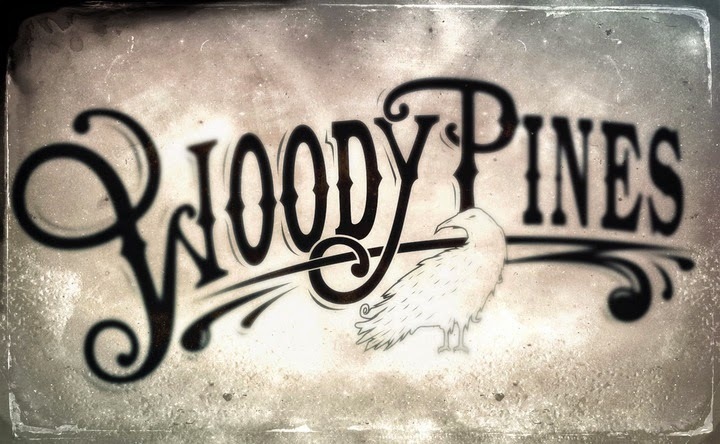 Woody Pines describe their sound as Roots Music, Ragtime, Country Blues & Viper Jazz. The Shetland Folk Festival, where Woody Pines have played previously, said "Woody’s recordings and live performances are full of stomp and swing, and jump and jive. It’s old-time feel-good music done by a young master who clearly understands that this kind of music was always about having a great time" and that [when they had visited the UK previously "reviewers unanimously declared Woody Pines to be one of the most entertaining acts on the Americana circuit."